The Williams Companies, Inc. (NYSE:WMB) was in 39 hedge funds’ portfolios at the end of December. WMB investors should pay attention to a decrease in hedge fund sentiment recently. 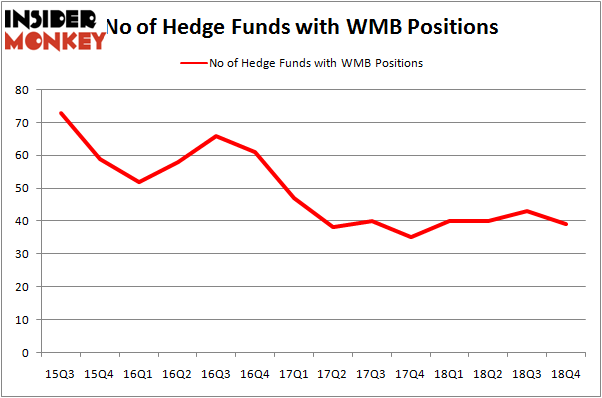 There were 43 hedge funds in our database with WMB holdings at the end of the previous quarter. Our calculations also showed that WMB isn’t among the 30 most popular stocks among hedge funds. We’re going to take a peek at the key hedge fund action surrounding The Williams Companies, Inc. (NYSE:WMB). What does the smart money think about The Williams Companies, Inc. (NYSE:WMB)? Heading into the first quarter of 2019, a total of 39 of the hedge funds tracked by Insider Monkey were bullish on this stock, a change of -9% from the previous quarter. Below, you can check out the change in hedge fund sentiment towards WMB over the last 14 quarters. With hedge funds’ positions undergoing their usual ebb and flow, there exists a few notable hedge fund managers who were increasing their stakes considerably (or already accumulated large positions). More specifically, King Street Capital was the largest shareholder of The Williams Companies, Inc. (NYSE:WMB), with a stake worth $331.9 million reported as of the end of September. Trailing King Street Capital was Steadfast Capital Management, which amassed a stake valued at $307 million. Glenview Capital, Millennium Management, and Canyon Capital Advisors were also very fond of the stock, giving the stock large weights in their portfolios. Due to the fact that The Williams Companies, Inc. (NYSE:WMB) has witnessed bearish sentiment from the aggregate hedge fund industry, it’s safe to say that there was a specific group of hedge funds that decided to sell off their full holdings in the third quarter. At the top of the heap, Jim Simons’s Renaissance Technologies said goodbye to the biggest investment of the 700 funds watched by Insider Monkey, worth close to $91 million in stock. David Tepper’s fund, Appaloosa Management LP, also sold off its stock, about $28.4 million worth. These moves are intriguing to say the least, as aggregate hedge fund interest fell by 4 funds in the third quarter. Let’s go over hedge fund activity in other stocks – not necessarily in the same industry as The Williams Companies, Inc. (NYSE:WMB) but similarly valued. We will take a look at Public Service Enterprise Group Incorporated (NYSE:PEG), Takeda Pharmaceutical Company Limited (NYSE:TAK), Southwest Airlines Co. (NYSE:LUV), and Welltower Inc. (NYSE:WELL). This group of stocks’ market values are closest to WMB’s market value. As you can see these stocks had an average of 24.25 hedge funds with bullish positions and the average amount invested in these stocks was $1367 million. That figure was $1574 million in WMB’s case. Southwest Airlines Co. (NYSE:LUV) is the most popular stock in this table. On the other hand Takeda Pharmaceutical Company Limited (NYSE:TAK) is the least popular one with only 10 bullish hedge fund positions. The Williams Companies, Inc. (NYSE:WMB) is not the most popular stock in this group but hedge fund interest is still above average. Our calculations showed that top 15 most popular stocks among hedge funds returned 19.7% through March 15th and outperformed the S&P 500 ETF (SPY) by 6.6 percentage points. Hedge funds were also right about betting on WMB as the stock returned 26.7% and outperformed the market as well. Were Hedge Funds Right About Flocking Into Sempra Energy (SRE)? Here is What Hedge Funds Think About BT Group plc (BT) Here is What Hedge Funds Think About AutoZone Inc. (AZO) Is IQVIA Holdings, Inc. (IQV) A Good Stock To Buy? 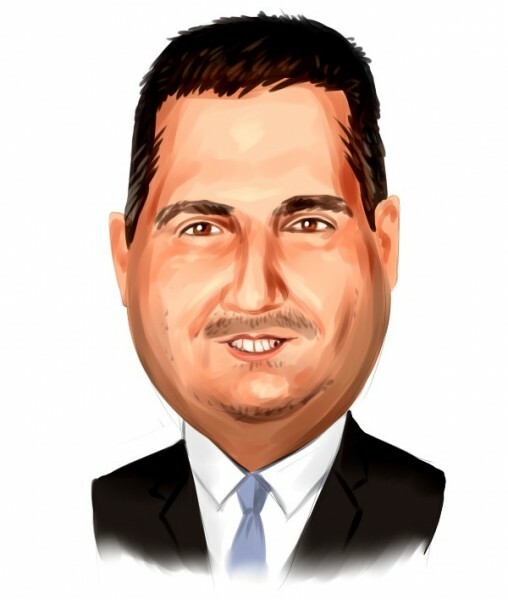 Hedge Funds Dropped The Ball On Fortive Corporation (FTV) Were Hedge Funds Right About Souring On Canon Inc. (NYSE:CAJ)?